It’s been an awfully long time since my last post. 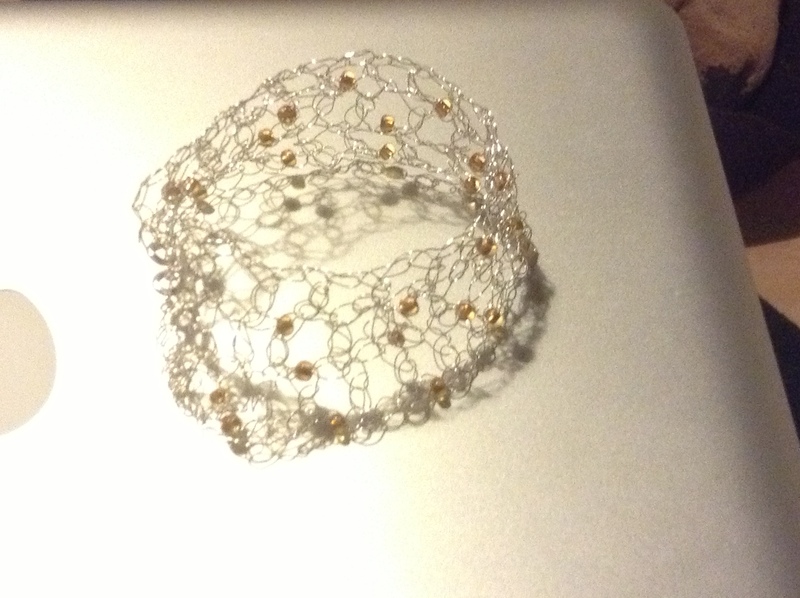 A crocheted cuff. I have to say I was so pleased with how this came out, even though its by no means perfect. 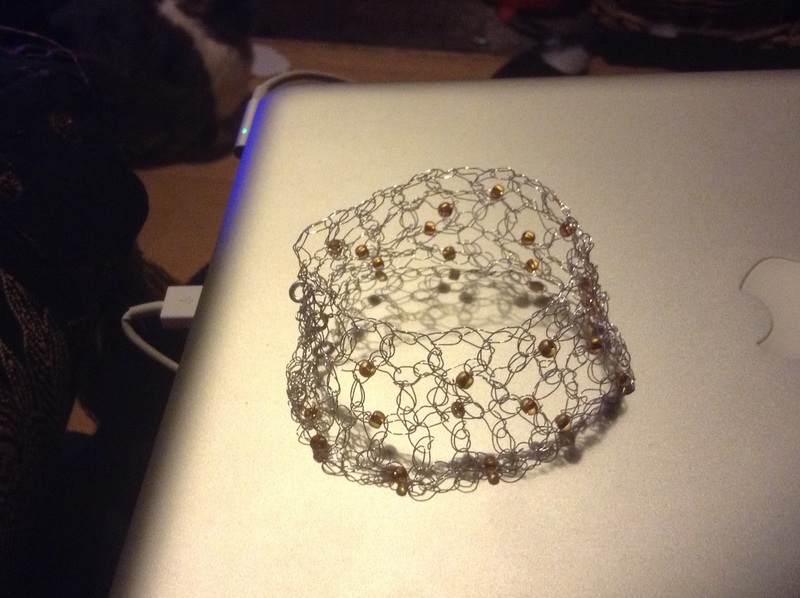 But for a first attempt at crocheting with wire and using beads, I was really pleased. This is definately something thats going to be repeated and with some tweaking, I hope to be making it a regular on my shops when they’re up and running. excuse the bad image, atop my mac, but better ones down the line! I was worried how fragile it was, but wore it to work and it survived quite happily being leant on as I typed and squished by proofs, so I guess its tougher than I think! Here it is at the start, to give you a better idea…. The pattern itself is pretty simply and it also looks really nice done in wool – I did a test run first, before I tried with the wire – so it may be that I knock up a couple of those too for little christmas gifts. Which is not happening for AGES. I dont care what the shops say. More tomorrow – I promise!! 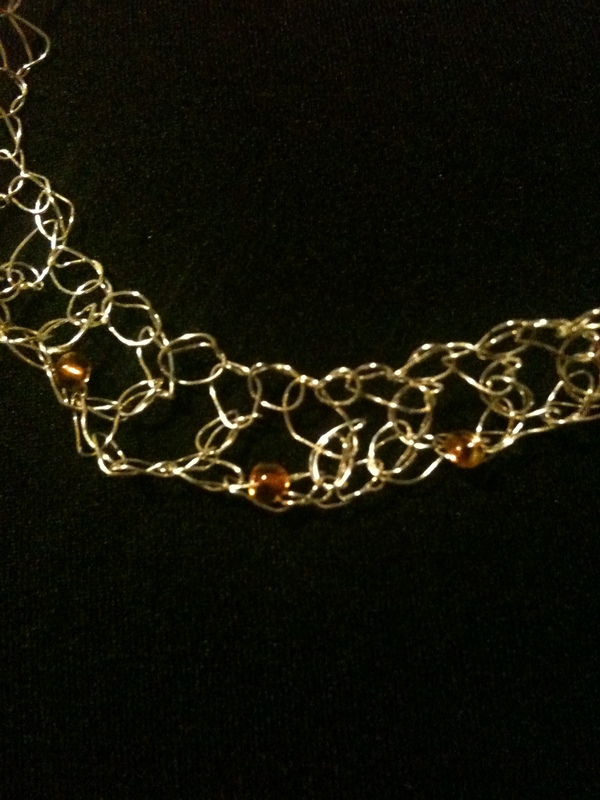 This entry was posted in jewellery, Wirework and tagged beads, bracelet, Crochet, Wirework.